Chief executive Nick Mather says SolGold is building an integrated exploration and development business ‘that will rival the world’s biggest copper companies’. That’s quite a claim from an exploration business which doesn’t even have a resource statement on its project. 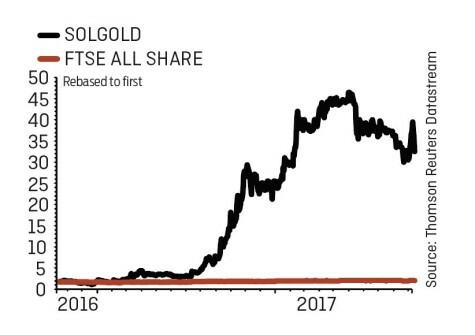 SolGold is currently valued at £561m and is many years away from generating revenue. Over-confidence by a CEO is generally a negative sign in the world of investing. However, this boss insists he has every reason to believe his company is far superior to most other mining exploration firms on the stock market. Why is the CEO so bullish? SolGold owns 85% of the Cascabel copper/gold porphry project in Ecuador. Drill results from the project have been phenomenal in terms of quality. Mather claims 10 of the 39 holes so far drilled contain ‘world class’ intersections of continuous copper and gold mineralisation. If you’re not familiar with mining, a project with continuous mineralisation over 100 metres and 1% copper equivalent (copper plus gold valued added together) or better is generally considered to be high quality. Six of SolGold’s drill holes found more than 1,000 metres of continuous copper mineralisation and its best copper equivalent grades are generally between 0.9% and 1.1%. You can now see why Cascabel is a very exciting project. Mather is hopeful the current area being worked (called Alpala) will be one of several high-quality prospects across SolGold’s licence area. The CEO also rejects suggestions that SolGold won’t be in production for another 10 years. ‘That is a rate at which a pedestrian major mining house delivers a project. We will be more aggressive due to the high grade core. The earliest we could be in production is four to five years’ time,’ reveals Mather. SolGold last week (6 Oct) moved from AIM to London’s Main Market. Such a move is typically made when a company has reached a certain stage of maturity and wants to be seen as a more credible business. Companies also tend to graduate to the Main Market when they’ve reached the appropriate market valuation to qualify for inclusion in one of the two main FTSE indices, being the FTSE 250 or FTSE 100. SolGold is almost big enough for the FTSE 250 – except it won’t be entering the index any time soon. That’s something which many investors have failed to grasp, judging by comments on internet bulletin boards. Tracker funds buy stocks which enter (or are about to enter) the FTSE 250 in order to have an accurate representation of the index’s performance. The increased demand for the stock tends to push up the share price. For example, Sirius Minerals (SXX) saw its share price jump by 32% over six weeks after moving from AIM to the Main Market earlier this year. SolGold is different. It doesn’t have the right type of listing to qualify for the FTSE 250 so tracker funds won’t automatically buy its stock and drive up the price. The miner actually saw its share price fall by 6% on its first day on the Main Market. 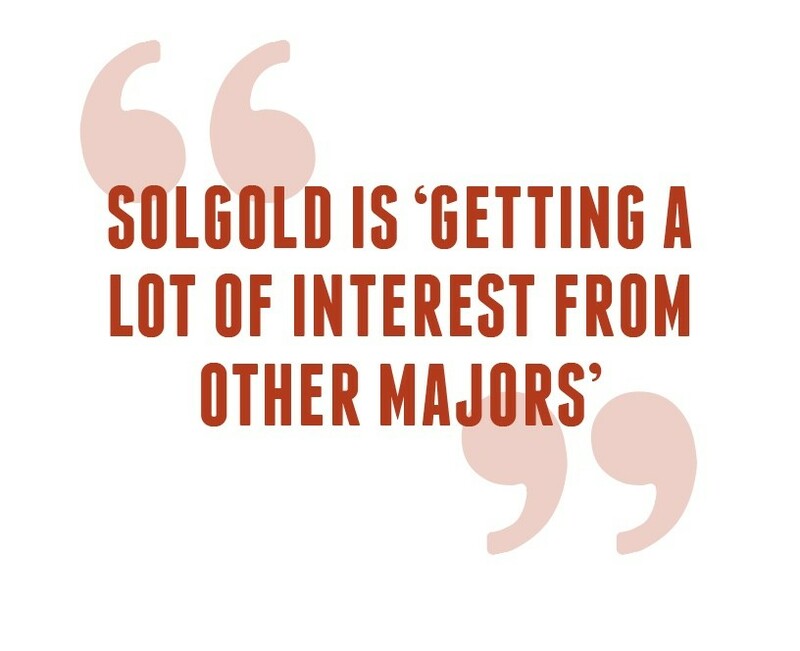 In order to qualify, SolGold will need to upgrade from a standard to premium listing. Matthey says it is something that will be considered in the future. The lack of a resource statement and any form of feasibility study will act as a deterrent for many institutional investors to be interested in the stock, despite its large market valuation. At the moment its biggest shareholders include an investment firm associated with Mather, a mining investment house which owns part of Cascabel and an Asian trading firm. Two other large shareholders are miners Newcrest and Guyana Goldfields. Importantly, stresses Mather, neither miner has a stake at the asset level. 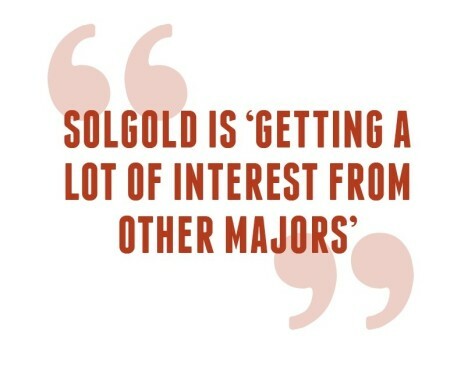 He claims SolGold is ‘getting a lot of interest from other majors’ and from funds and banks. ‘Our strategy is to stay well cashed up.’ SolGold had A$89.3m (£49.9m) cash as of 30 June 2017. A year ago BHP Billiton (BLT) tried to derail Newcrest’s plans to invest in SolGold when it made a proposal to earn-in up to 70% of Cascabel. Sovereign risk is something to watch when considering an investment in SolGold. Ecuador’s government is still developing new mining policies. Ten years ago the county imposed a moratorium on mining and implemented a windfall tax, killing the industry. Ecuador mining is now slowly coming back. ‘It’s going to be the new porphyry copper province and SolGold will have the best of it,’ says Mather, modestly. He hopes the much-awaited resource statement due later this year on Cascabel will finally give people something to get their teeth into; and start looking at SolGold more seriously.